What will happen today as Mr Angry Potato Head and Mr Confused and Angry Wolfman have their duel in the boxing ring? If you’ve enjoyed the Angry Family Olympics, you can find more videos on their Youtube channel. You can also discover their relations who speak German, Chinese and French! The penultimate episode today – what WOULD the Angry Family LIKE to be after the games are over? The question on everyone’s lips – ¿Quién encenderá la llama? Before anyone panics, it’s not a question about burning llamas! Una llama in Spanish is a flame! So – Who will light the (Olympic) flame? Could it be Beckham? Could it be our oldest surviving Olympian? Someone born on the day that the Olympics started in London in 1948? Sir Steve Redgrave as our ‘greatest Olympian’? I don’t know! But who will light it in los Pocoyo Games 2012? You won’t have to wait until midnight to find out – watch and discover! As the Olympic Opening ceremony begins at 9pm BST, here’s Pocoyo opening his own games for those of you who are might be a bit young to stay up for all the fun, and for those of you who just love Pocoyo. I think our TeamGB 4x100m relay team need to watch this for a novel way of getting the baton around! So the Olympics are finally here. The Opening Ceremony is tonight (although the action has already started with football!) 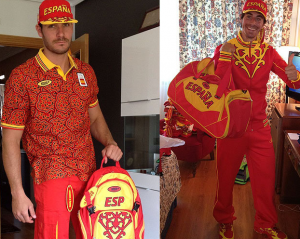 so why not have a look at the Spanish page on London2012 and start identifying the Spanish participants in the Games. In which sports do they compete? And which one of them is carrying the Spanish flag in the opening ceremony? You can also access information about the team on the Comite Olímpico Español (Spanish Olympic Committee) website. And if you are (by any chance!) 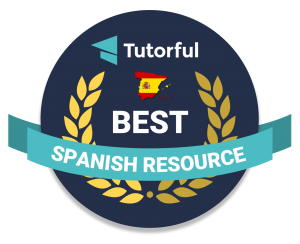 teaching Spanish at the moment, why not check out these resources to help you! MFLHampshire wiki has lots of ideas too! And of course, let’s not forget that Spanish is spoken by many countries other than Spain! Check out Mexico, Nicaragua, Paraguay, Panama, Venezuela and many others! 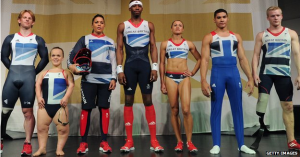 The bloke on the right Alex Fàbregas described it on Twitter “Olympic equipment, there are no adjectives…” And frankly I’m pretty sure he’s right! But whatever they’re wearing ¡Venga España! TENSE MOMENTS today as the Angry Olympics recall what HAS HAPPENED. Grammar today – the past tense with examples of the perfect, preterite and imperfect tenses. The Angry Olympics continues with an argument about who won what and when – a perfect opportunity to look at TIME phrases!